The new week starts with a success story for true leadership. Feel inspired with one of the top leaders in the Network! Also do not forget to stay posted for all available promotions and check what DealShaker has prepared for you. Keep on reading to find out all the details! The OneLife Team wishes you a prosperous new week! 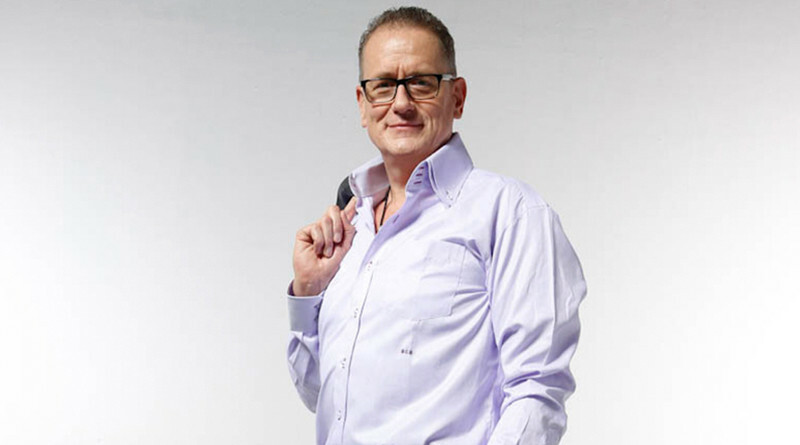 Network marketing has opened a new door for Mr. Udo Deppisch. He obtained the opportunity to travel all around the world expanding his business and recruiting the world's most successful leaders. As a true and dedicated leader, he did not stop there. After 25 years of his successful career in the field of Network Marketing, he started a research on cryptocurrency which lead him to writing a new book:"Monetäre Gelassenheit hat einen Namen: Krypo-Währung" ("Monetary tranquility has its name: Crypto-currency"). The book presents an explanation on cryptocurrency and how it influences current financial market. During his research he became impressed by the concept of OneCoin and the mission of Dr.Ruja Ignatova. He immediately saw the opportunity in joining the OneLife Network. The OneLife Team is extremely thankful for his support offered to members worldwide. Due to his efforts, passion and hard work he created successful teams and new leaders in Central and Eastern Europe, Asia, Africa and Latin America. Keep up inspiring everyone with the excellent work leading the OneLife Family to growth and global expansion! There is still time to take advantage of the most recent DealShaker exclusive promotions. All new approved merchants and their sponsors can request 100 EXTRA promo tokens for their account. For 4 WEEKS MORE ONLY merchants will also have the chance to request ADDITIONAL 100 tokens* for their first approved deal on the platform. If referred by a OneLife member - the sponsor will be able to request 100 BONUS tokens for each of the referred merchants' first approved deals. *ONLY 4 WEEKS left to take advantage for the exclusive DealShaker promotion. The Split barometer has reached 99%! The OneLife Team shares the enthusiasm of the whole Network as the SUPER SPLIT will double your tokens TWICE. Take advantage of the chance to revise your split strategy, and do not forget that users eligible for all splits at ONCE will receive +1 EXTRA SPLIT when the barometer reaches 100%! Until October 15, 2017 you have the opportunity to request EXTRA TOKENS with the following packages: Executive Trader, Tycoon+ and the Infinity packages. Regarding all other educational package they will continue to provide the respective number of tokens provided with them, upon your request. The FAQ section provided on the OneLife HOME page has been recently provided to you in the following languages: Spanish, Portuguese, Russian, Japanese and German! Now more members can check the information regarding account settings and tools in their own language. In case of any inquiries switch to the preferred language and check all the answers HERE. A big Gala will be organized to celebrate the results of the hard efforts DealShaker's first power team - Onemillionshop. The theme of the Gala will be One Million Night and the OneLife team received a special invitation by the successful merchants to attend the special occasion. It promises to be a memorable event where people will be able to redeem their DealShaker coupons in exchange for a...car! The early birds of DealShaker were able to take discount coupons for purchasing new cars through onemillionshop and during the event the keys of the freshly produced cars will be handed to their rightful owners. To all members, wanting to attend one of the first major milestones for onemillionshop and the DealShaker platform, please check all the organization details and ticket information HERE. Once again the OneLife Team and the DealShaker Team would like to thank onemillionshop for contacting us with this initiative and presenting the opportunity to all members! If you are interested in more onemillionshop DealShaker offers you can check them out HERE. Re-selling of gift codes at a discount price is strictly prohibited and against the Company's policy. IMA can resell gift codes only to his/her own downline. Violation of this policy leads to this that your money will not be returned. 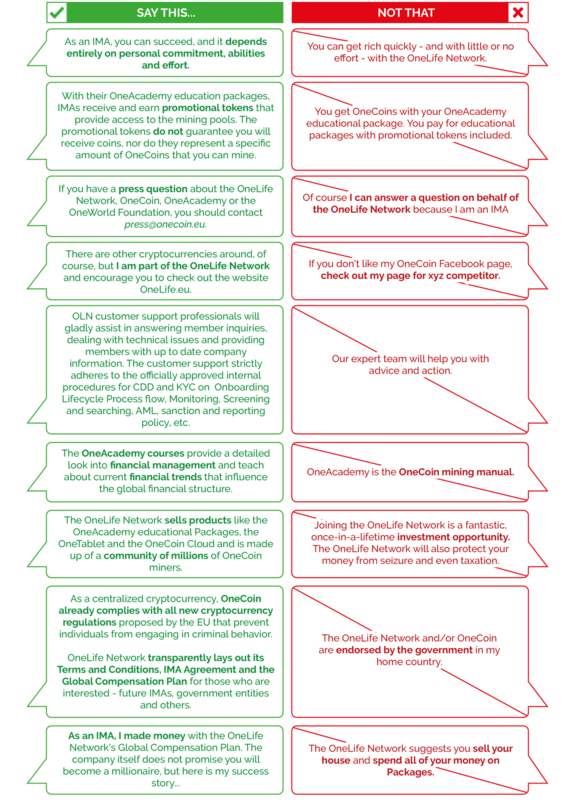 We warn you to buy gift codes from reliable source and if you have any doubts - contact us at compliance@onelife.eu. IMAs are not allowed to sell goods and/or services for competitors of the Company. IMAs must not offer products other than ONELIFE NETWORK products at the same time, in the same place or in the immediate vicinity or on the same website, Facebook page or other social media/online platform. IMAs are also prohibited from recruiting other ONELIFE NETWORK IMAs for the sale of other Company's products (as this is a conflict of interest). IMAs are not allowed to use the logo of OneCoin in their promotional materials. They are allowed to use only OneLife Network IMA's logo. The Company recognizes as the legitimate owner of the account the IMA who has been legitimately registered as per the first entered original IMA Application completed, dated, and electronically entered into Company's database. The Company is not responsible and cannot be held liable for any unsettled legal and financial relations and/or obligations between members, thus we cannot interfere in such relationships. Regarding that- to avoid future disputes sign contracts and do not give money without receiving proof/s for your payment/s. IMA-s are provided with merchant tag/s which are prepared specifically for them and which they could brand their shops with and bring more visibility to the their deals. There are merchant tags for print and web. Merchant tags are at our member's disposal in their DealShaker account→Dashboard. The tags are at the bottom of the page. IMAs are obligated to protect their personal passwords and user names from third parties. The Company bears no responsibility for any actions undertaken by a person other than the IMA using his/her user name and password. Should an IMA willingly provide their user ID and/or password to an unauthorized under the Company's T&C person/party the relevant profiles/accounts will be suspended and/ or terminated. Any proven violation including, but not limited to misleading information about an IMA official Leadership Rank, OneLife products and services or the company's compensation plan may result in severe sanctions, reaching fines up to 5 100 EUR, effective immediately. The OneLife team received a special invitation to an exclusive event organized by DealShaker merchants Onemillionshop. The merchant profile owners present themselves as part of the OneLife network family and have been one of the most sought after and innovative merchants since the beginning of the platform. 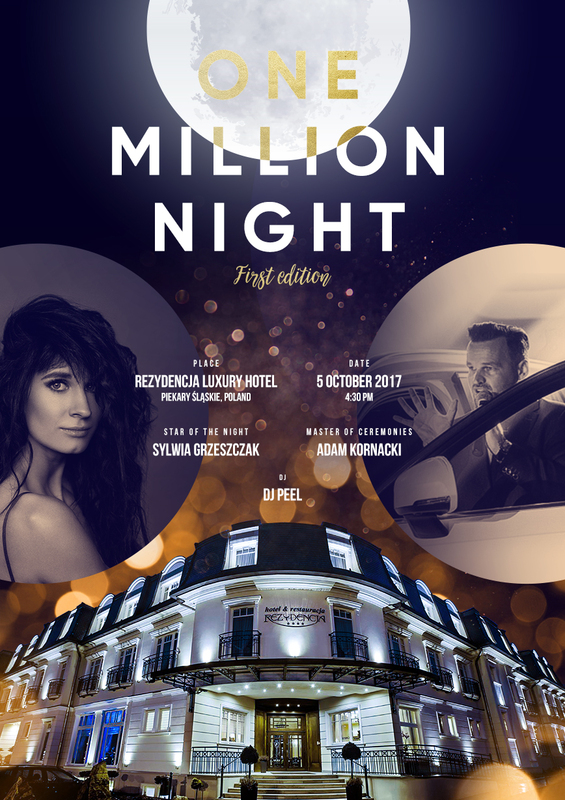 To honor the result of their efforts they are organizing a gala event - OneMillion Night! On 5 October, 2017 the first delivery of newly produced cars will take place in a luxury residence in Poland. The cars have been purchased with a deep discount made possible through DealShaker coupons! This is a first in the short history of the platform and onemillionshop have become popular with their successful deals for discount coupons in ONE. Onemillionshop profile administrators are organizing a big GALA to officially present the keys to the first produced cars to their rightful owners. A big thank you to onemillionshop who contacted us with this initiative! Please don't hesitate to attend and share your pictures with us on Facebook and Instagram with #TogetherForMore. We will keep you posted on the program and the developments on all successful merchants. We encourage all users of the DealShaker platform to share their positive impressions from deals that made a difference. Send us your feedback on ethical merchants that you believe deserve to be honored and promoted in the weekly newsletter. The OneLife Team and the DealShaker team would like once again remind ALL users of the Merchant platform for the current big opportunity to request 100 promo tokens as a BONUS. This special feature is valid from September 7 and it will be available for 8 weeks only. All new merchants will be able also to request 100 FREE tokens for their first approved deal on the platform. If referred by a OneLife member - the sponsor will be able to request 100 FREE tokens for each of the referred merchants' first approved deals. There is also an increase in the free tokens that you will be provided upon request if you activate one of the following packages: Executive Trader, Tycoon+ and the Infinity packages. Keep in mind that the following packages will be available until October 15, 2017! During the upcoming SUPER SPLIT all tokens available in your accounts will be doubled TWICE! *Do not forget also that all members entitled to receive all splits at once will receive a +1 EXTRA SPLIT! Felicitaciones a todos los miembros hispanohablantes! The OneAcademy team is thankful for your ongoing feedback and is happy to announce that the ''Behavioral Finance Part 1&2'' available in Levels 5 and 6 of the educational packages is NOW available in SPANISH. To all Spanish speaking members: ahora tenéis la oportunidad de mejorar el conocimiento financiero en su propio idioma! Do you need more information regarding the registration process or your account settings? The OneLife team reminds you about the available FAQ section provided on the OneLife HOME page. NOW all questions and answers have been provided to you in the following languages: Spanish, Portuguese, Russian, Japanese and German! Thanks to your feedback the OneLife Team is continuously improving the information to better fit members' requests and allow you to take full advantage of your account features! In case of any inquiries switch to the preferred language and check all the answers HERE. Don't hesitate to contact our support department with your suggestions and feedback! Did you know that 15% of 6 to 14-year-olds living in the poorest households in Bangladesh work an average of 64 hours a week? To solve this problem, we funded "Stop Child Labor through Education" project with Sohay, Bangladesh. During the implementation of the project 200 child workers are encouraged and supported to catch up on school lessons, develop new skills and knowledge. This will help them find future employment with better working conditions. Sohay also ensures that children are offered affordable medical services and regular health check-ups. Meetings with parents and employers are also carried out to discuss the risks of child labour, how to address the situation and how to keep the level of income for the families. Happy new week to all OneLife Members! The week starts with an important reminder of the upcoming SUPER SPLIT! You can also find all the details on the extended promotion for requesting 25% EXTRA TOKENS! Check what MORE the DealShaker will offer your. And do not forget to feel inspired with this week's success story! The past week the split barometer has reached 97%! This means the SUPER SPLIT is just around the corner. The OneLife team is happy to share the enthusiasm of the entire Network! When the split barometer reaches 100% you will have your tokens DOUBLED TWICE! *Users who are eligible to receive ALL splits at once will receive +1 EXTRA split within the SUPER SPLIT. The educational packages: Executive Trader, Tycoon+ and the Infinity packages will be available only until October 15, 2017. Until then you will have the opportunity to request 25% EXTRATOKENS with the activation of each of these packages. Regarding all other educational packages, the OneLife team reminds all members that they can claim the respective number of provided tokens, upon the activation of the new package. From September 7, 2017 all members using the DealShaker account will have the opportunity to request a BONUS of 100 promo tokens. The DealShaker team is happy to announce that within the approval of each new merchant in the system, BOTH sellers and sponsors will have the opportunity to claim an extra 100 TOKENS bonus to their accounts. This is not all. As a thank you for all submitted deals which provide a wide range of products and services for buyers, the OneLife team and the DealShaker team would like to stimulate all merchants devoted to always creating their deals and presenting their products in accordance with the compliance rules and in favor of clients' needs. As of September 7, 2017 all DealShaker sellers and their respective sponsors from OneLife Network will have the chance to request 100 ADDITIONAL TOKENS for their FIRST successfully published, active deal on the platform. Keep in mind that this offer will be temporary and will be valid for 8 weeks only! For more details and updates check the official OneLife Events page HERE. Mariana Lopez de Waard- a perfect example of how constant effort and dedication pays off! The OneLife Team would like to congratulate Mrs.Mariana Lopez on her new rank - BLACK DIAMOND! A big thank you for your endless inspiration and impressive performance for the Network and the entire OneLife team! She sets a perfect example of leadership and how only 11 months after reaching the Blue Diamond rank she continued with the hard work towards achieving the next milestone of what we believe is just a stepping stone to reaching the next BIG GOAL! We would like to remind all OneLife members to strictly adhere to the provisions in our Terms and Conditions, to which all members are legally bound, concerning the dissemination of false information regarding the OneLife Network company.Any proven violation including, but not limited to misleading information about an IMA official Leadership Rank, OneLife products and services or the company's compensation plan may result in severe sanctions, reaching fines up to 5 100 EUR, effective immediately.As a network marketing company, we manage to provide opportunities each day by channeling the power of collective effort. We encourage all IMAs to take individual responsibility for the stable and successful growth of the Network in 2017. Thank you all for your efforts!ONELIFE BRAND GUIDELINES To become the everyday essential brand for all our members and shareholders, OneLife must continue to build a successful and enduring company with the right tools and resources. On September 04, 2017 People's Bank of China issued a statement announcing, that all types of Initial Coin Offerings should immediately cease on the territory of People's Republic of China. Companies and individuals in the process of an ICO, enabling the financing of tokens should return the accumulated funding and adopt the necessary measures to reasonably protect the interests of all stakeholders, following the regulation. In order to comply with the recently imposed regulations of the People's Bank of China, the OneLife Network is informing all users of the OneLife & OneAcademy, that educational courses, related to the ICO activity of OneCoin will not be provided to Chinese members. For compliance reasons any OneLife educational course sold on the territory of People’s Republic of China will not include any ICO related features and/or materials during the OneCoin ICO campaign. ONE cryptocurrency is planned to float on a public exchange October, 2018. OneLife Network will continue educating people around the world through its intuitive educational courses under the “OneAcademy” brand. New educational packages are planned to launch on October 15, 2017. Upon members' request the educational packages can provide free, promotional tokens, giving the opportunity to participate in the mining process of ONE cryrptocurrency, until its release on a public exchange. The SUPER SPLIT is even closer! Keep on reading to find all the details! The OneLife Team wishes you a prosperous new month! The POWER PACK has turned out to be the most wanted package of the summer. The access to all educational levels in OneAcademy has inspired members to make the next step of their experience in OneLife. For those who are not yet familiar with the advantages, provided with this package deal - the POWER PACK will give you three educational packages in one and will bring you up to 7 splits all at ONCE! Taking advantage of the most popular package in the Network you will reach up to level 7 on OneAcademy and see the special courses and video materials on the most discussed financial topics. *Make sure you also check the special Power Pack bulk promotion listed - purchase 6, get 1 FREE! As many of you have already heard the OneLife team decided to surprise you by giving you the chance to receive 25% ADDITIONAL TOKENS with the following packages: Executive Trader, Tycoon+ and the Infinity package. Until October 15, 2017 and upon your request you will have last chance to activate one of the above mentioned packages and receive the extra promotional tokens. These adjustments to the OneLife products and services are part of the strategic preparations for the upcoming ICO! The summer is coming to an end but new opportunities are on their way! The split barometer has passed 90%. So now is the time to improve your strategy and prepare for the SUPER SPLIT. Within the SUPER SPLIT your tokens will be doubled TWICE! And all members who are eligible to receive all splits at ONCE, will receive +1 EXTRA SPLIT when the barometer hits 100%. As promised, the DealShaker platform upgrades continue this week as well. Following the launch of new languages: Japanese, Spanish, Russian and Portuguese the Merchant platform is fully functional in GERMAN from today. The OneLife and the DealShaker teams would once again like to thank all of you for the invaluable feedback you provide! To encourage this useful practice the platform will now offer a brand NEW SECTION for MEMBER's FEEDBACK. Now, it will be easier and quicker for you to share your thoughts, ideas and suggestions, using the simple form, available on the website! 2017 came with a LOT of excitement and the launch of the merchant platform DealShaker which enables users to promote products and services to more than 3 million people all over the globe. Second half of the year promises to set the bar even higher and provide more opportunities for both sellers, registered on the DealShaker platform, and the members of the OneLife Network. From Thursday on (September 07, 2017) OneLife members, using the DealShaker platform, will have the exclusive opportunity to benefit additionally, depending on their activity on the website. All sellers, who are registered and approved in the system after Thursday, will be assigned 100 promotional TKNs as a motivation bonus. The Tokens will be available only upon the explicit request of the member. 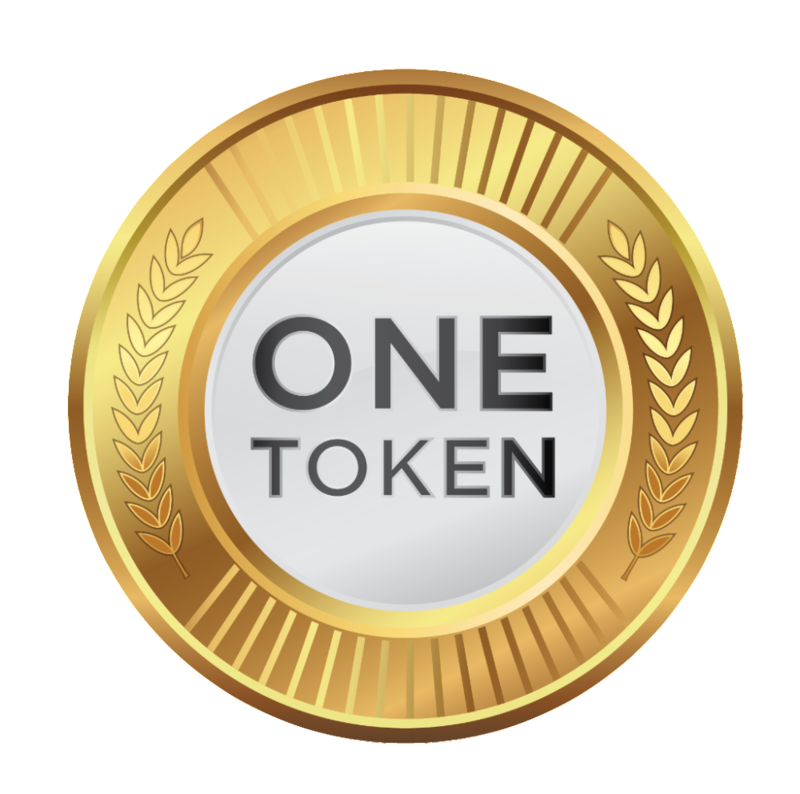 With each approval of a new merchant in the system BOTH sellers and sponsors of the OneLife Network will have the opportunity to claim the assigned 100 promotional TKNs. The OneLife team is happy to announce - the price of the ONE has increased. The current price has reached 15.85 EUR! Congratulations to all our hardworking members and thank you for your active participation and devotion! To check the price of the coin and the current mining difficulty, simply login to your Backoffice and revise the last section of the Dashboard. Sonam Tamang is a 10 year old girls. She was living with her employer at Sinamangal, Kathmandu. Her father and mother live in a remote area of eastern Nepal. The girl was rescued by CWISH, Nepal in coordination with the District Child Welfare Board (DCWB). She was provided psycho-social counseling support. During the sessions she shared all that happened to her in that house. Though she was enrolled in the nearby school she was not send to school by her employer. She was living in a small congested room having no windows and ventilation. She had to wake up early in the morning and do all the domestic work at the house, was fed only rice with salt. Sonam did not get the chance to communicate with her family and was frequently scolded and bitten by her employer. After she was rescued from that awful place, Sonam was sent to a transit home where she will be safe until the case is resolved and her family brings her back to her real home. There are thousands of stories like this one. Therefore, the OneWorld Foundation is committed to provide financial assistance to organizations such as CWISH, Nepal that are working hard every day,, in order to provide life-saving support to child workers.